There’s something about the restaurants and cafes in Bali. 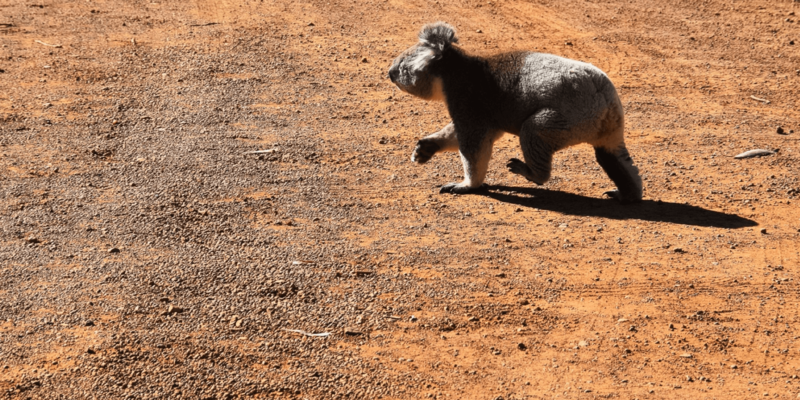 There’s only one way to put it – they’re all just so damn cute, and well, Instagrammable. 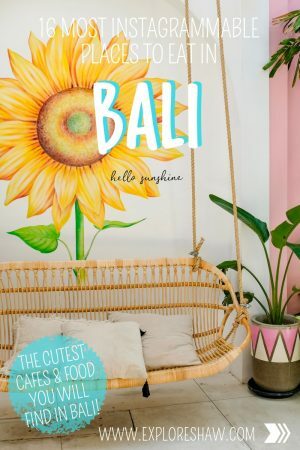 There’s an endless number of foodie hot spots popping up in the suburbs along the coast of Bali, and the best part is, they also serve mouth-wateringly delicious food to go with the super cute vibe! 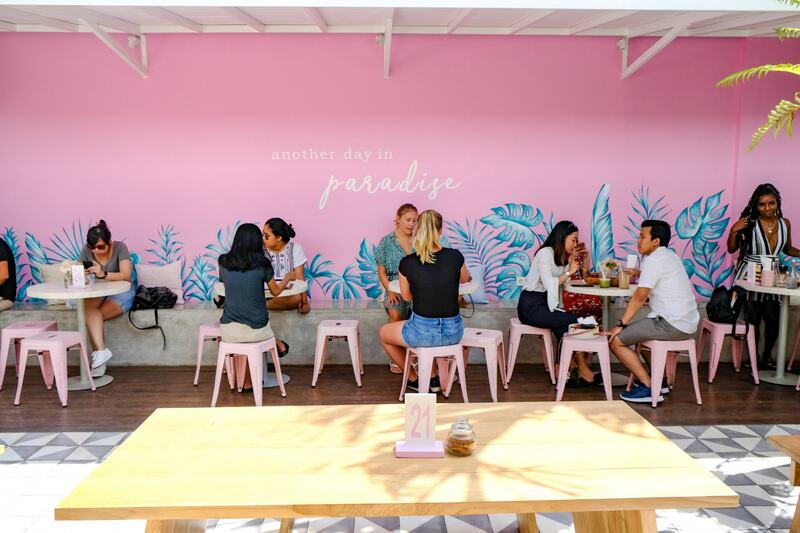 To perfect your Insta feed during your time in Bali and make sure you hit up all the best places to eat, here’s where you need to start. 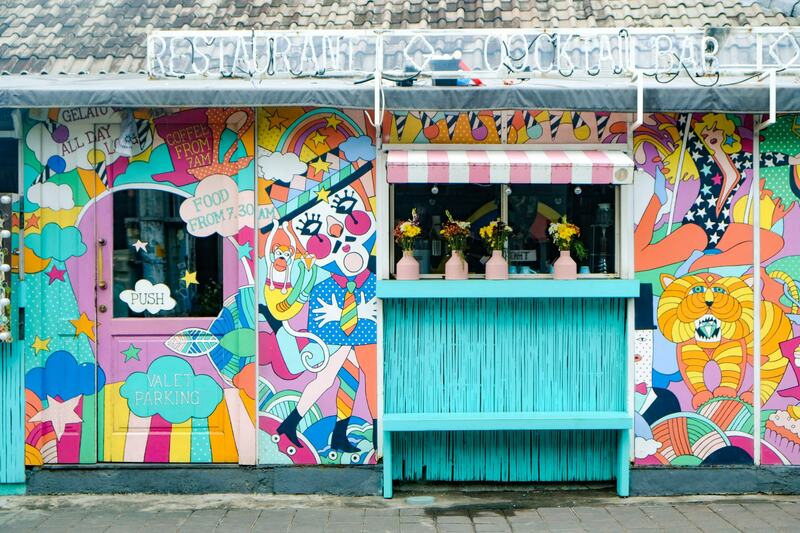 Sea Circus might just be our favourite breakfast spot in all of Bali. 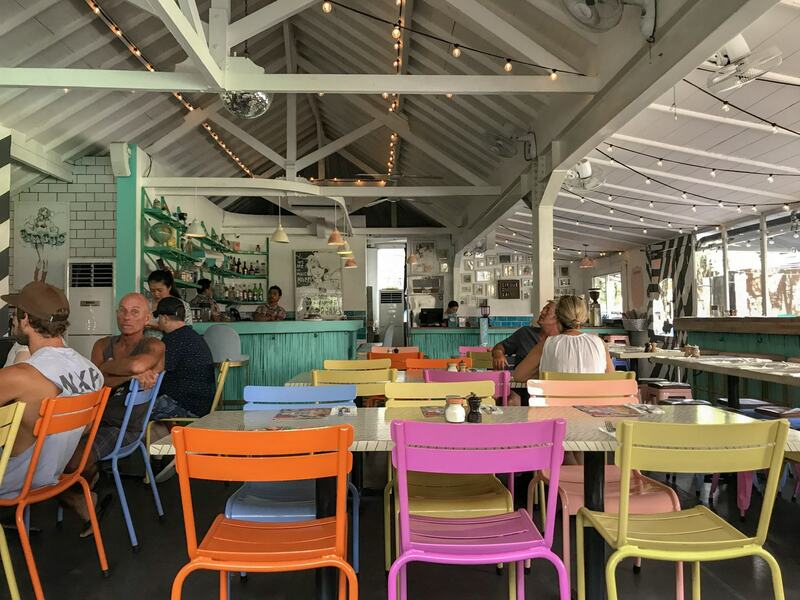 It might be because of the colourful mural that lines the outside of the restaurant, or the impeccable wait service inside, or the fact that the valet guys will cover your scooter seat while you’re having breakky so it doesn’t burn your bum when you come back outside. Or it could simply just be the fact that the food is absolutely delicious and one visit just isn’t enough. Sister restaurant to Sea Circus, and located just around the corner from them too, Neon Palms is like an explosion of colour, with jungle murals on the walls, lots of greenery and unique light fixtures, and a bright pink bench out the front that’s just begging for you to take a photo! 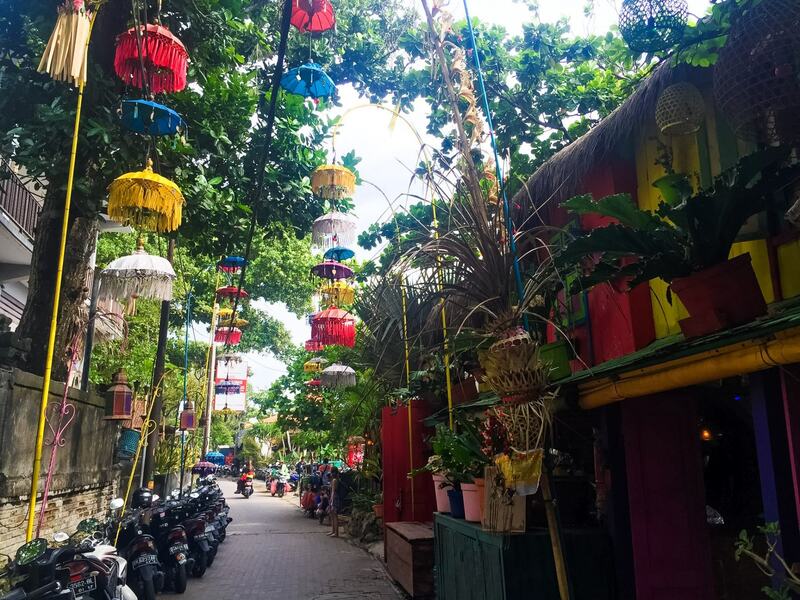 It might not look like much when you’re driving past, but step inside and Crate one of the most popular places to eat in Changgu, offering some of the best breakfast you can get in Bali! 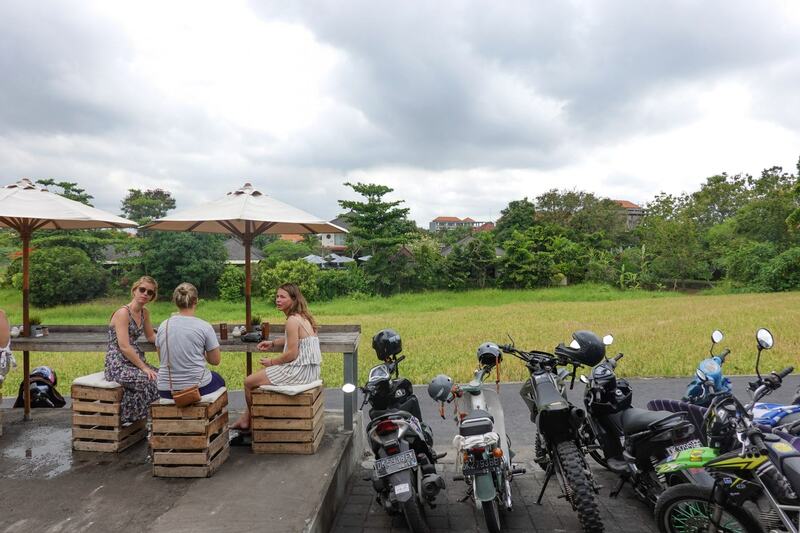 Not only is the inside decor minimalist and super cute, the views look over a beautiful patch of rice fields, giving you that essential Bali feel. 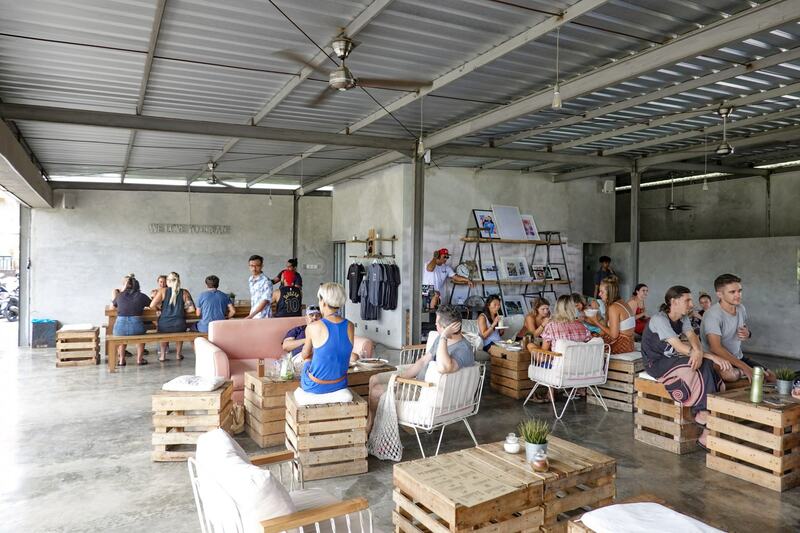 Ditch the traditional cafes and restaurants for a day and head to Mrs Sippy in Seminyak. Boasting the largest salt water pool in Bali, Mrs Sippy offers delicious cocktails and poolside snacks, and is the perfect place to relax for the day. 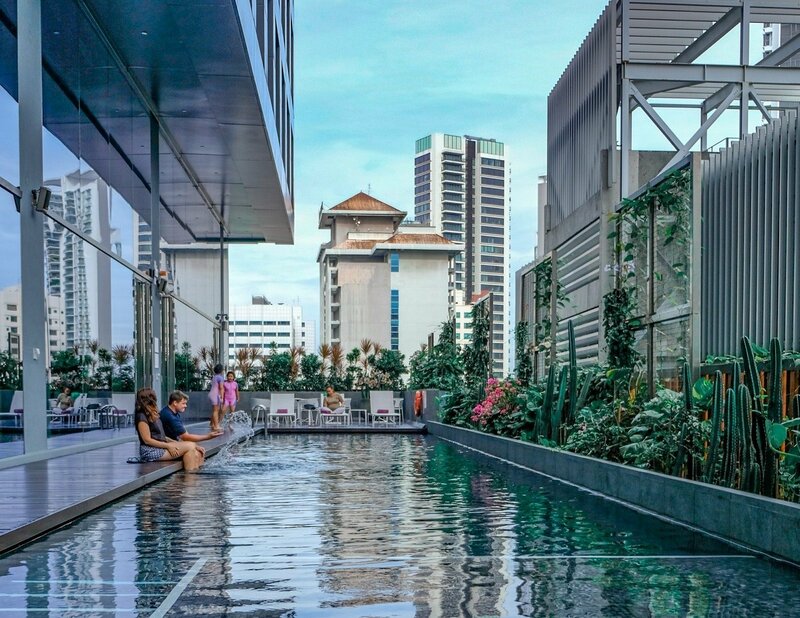 For the ultimate experience, book a poolside daybed to kick back and chill when you need a break from the water. The only downside of Mrs Sippy is that it is incredibly expensive for Bali. 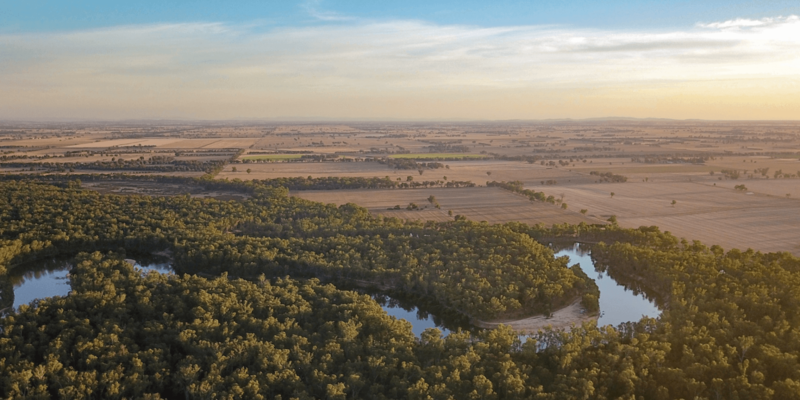 To make the most of your day it’s difficult to stick to a budget and prices can quickly add up, especially when tax and services are added at the end of the bill. 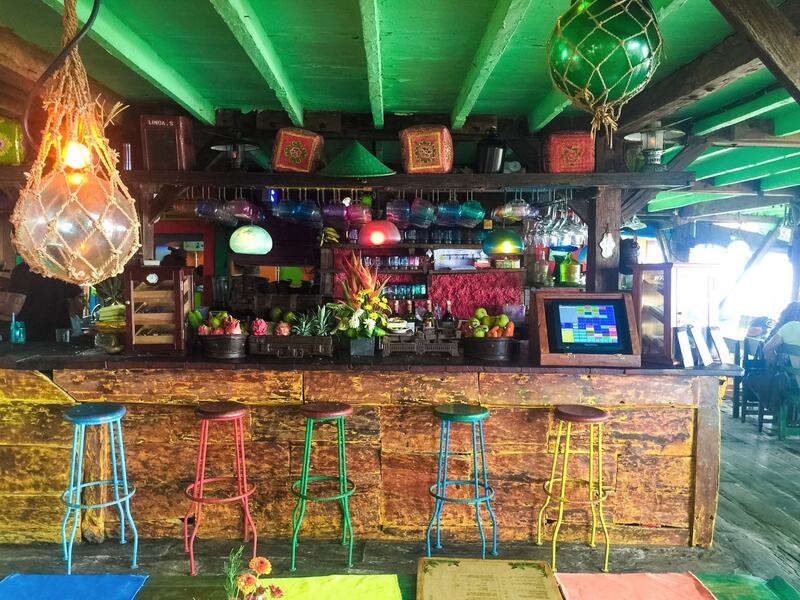 This might just be the original home of acai and smoothie bowls. 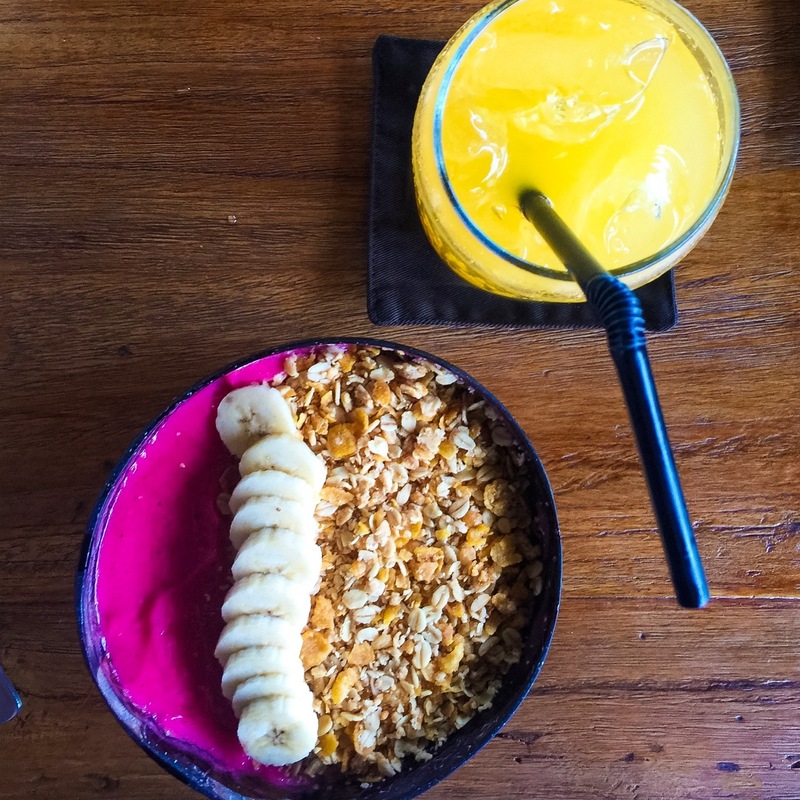 Nalu Bowls now has several locations across Bali and is home to some of the most delicious smoothie bowls you will find. Served in a coconut bowl and with all kinds of flavours, toppings, mix-ins and options, there’s always something new to try. 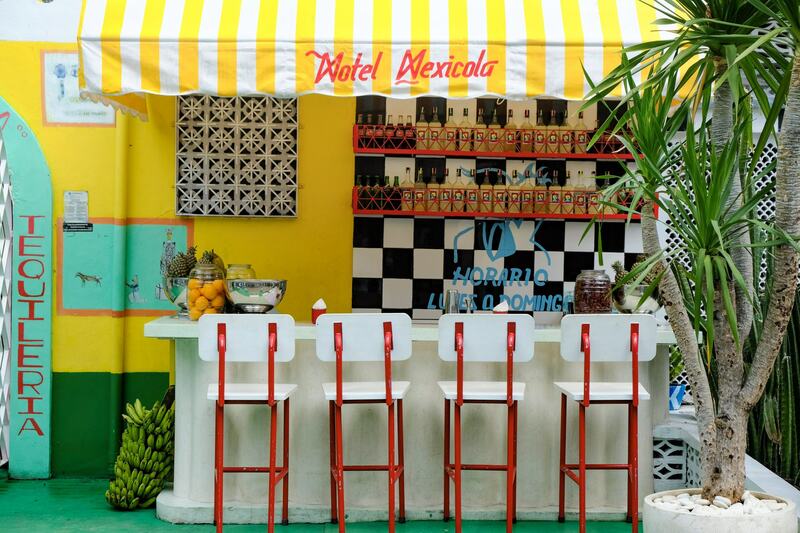 The hot new location from the people that brought us Motel Mexicola, Tropicola is a retro beach club bursting with colour and a beautiful terrace. 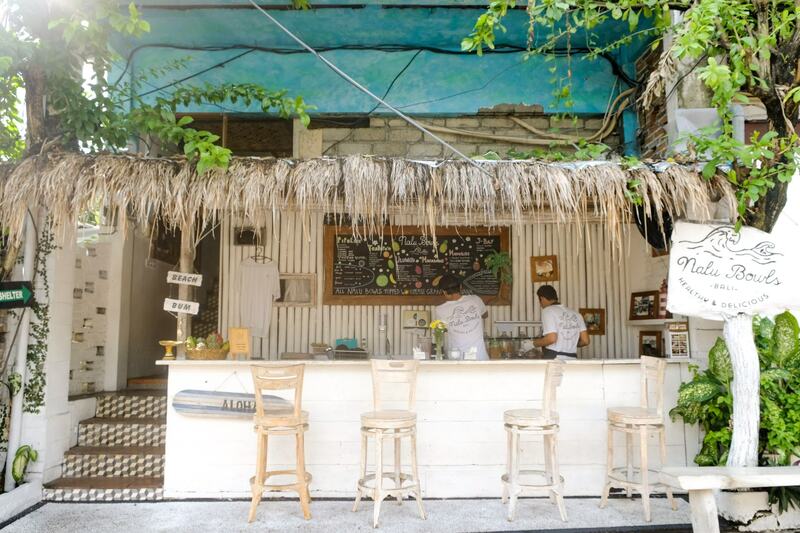 There are old school striped daybeds to rent at Tropicola as well, which offer a perfect backdrop for your Instas, just make sure you get their awesome retro sign in the background too! 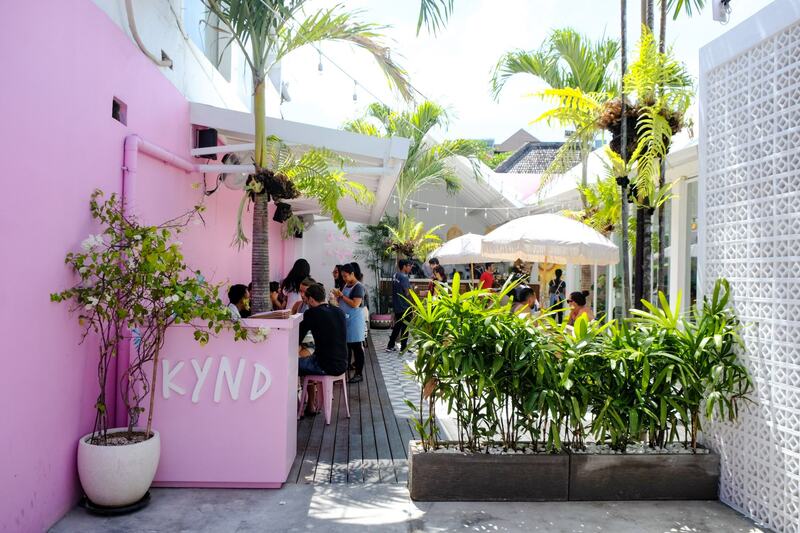 Hidden along a seemingly average street, Kynd Community lights up an ally way with it’s bright pink walls and beautiful murals. The plant based menu here is absolutely delicious and will have even the biggest meat eaters asking for more! 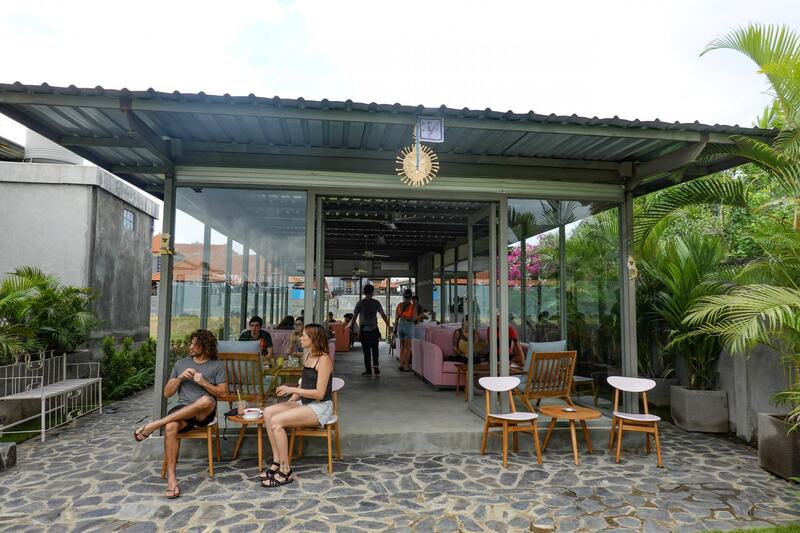 If you have time, you should also check out their sister cafe Give in Canggu. Recommendation: The alphabet smoothie bowl – choose which letters or words you would like in your bowl! This place has become super famous for it’s pink coffee, pink mural walls and the chance to have your name or your own design created on the top of your coffee. Yep, coffee art at the highest level. If you’re looking for food though, Coffee Cartel also has lots of health and keto friendly options that are just delicious! 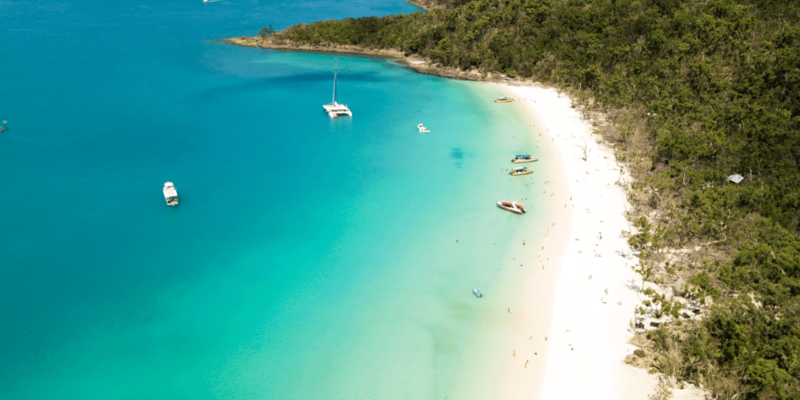 Maybe the perfect place to watch the sunset in the evening, La Plancha covers the beach each night with cute little umbrellas and colourful beanbags, giving you the best view of the sun setting over the beach. 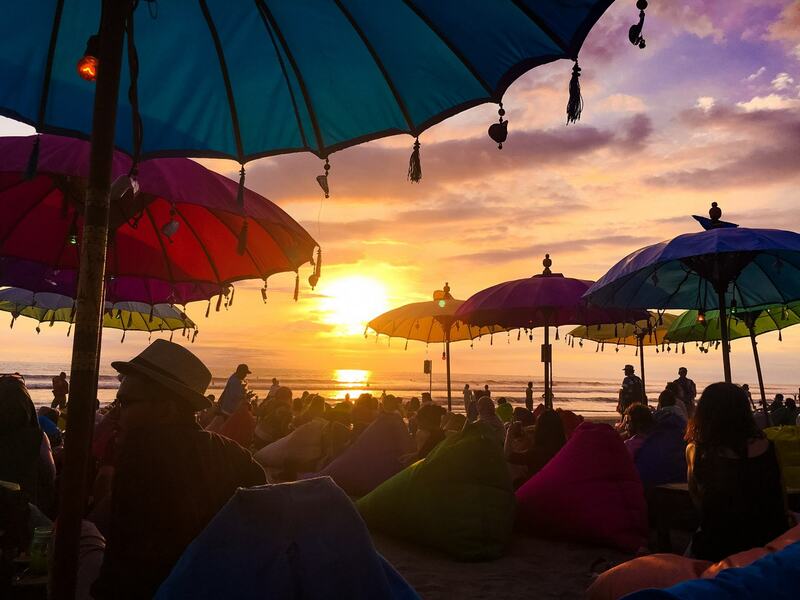 It’s the most colourful and cute little place on Seminyak beach you will find, and these umbrellas, silhouetted against the sunset offer the perfect Instagram opportunities. You’ve probably seen Mad Pops before without even realizing it. The bright pink neon sign that scrawls Ice Ice Baby across a wall of vintage tiles, what could be more Instagrammy than that! Mad Pops have made getting a casual ice-cream after dinner on a summer night a social media obsession, who wouldn’t want their photo taken here! 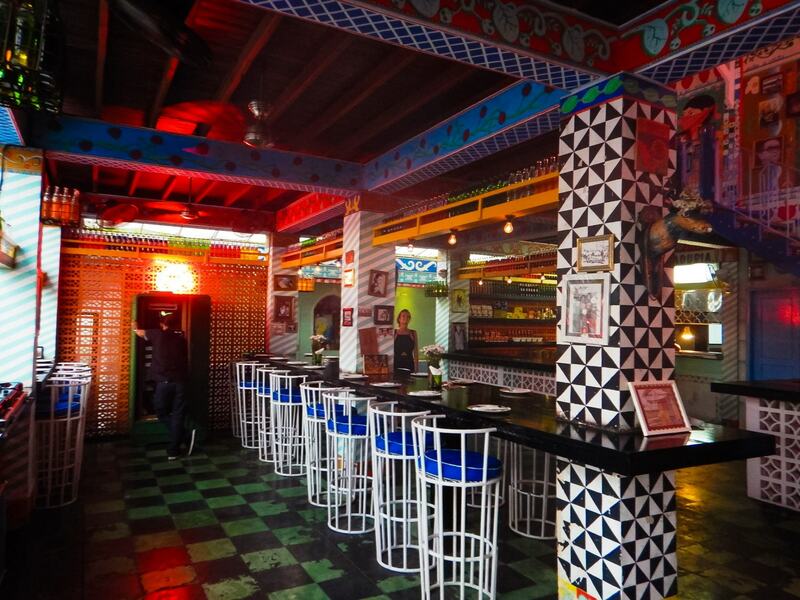 The perfect taste of Mexico in Southeast Asia. Motel Mexicola not only offers delicious tacos, burritos and quesadillas, but pretty much every single inch of this place is an Instagram photo waiting to happen. Make sure you do a lap of the whole place to check out all the different details and options for your photos. Everything you could need for the perfect foodie shot – a rustic patio with boho furniture and trimmings, a hanging swing chair and cute wooden tables, and of course, pretty food with words spelled out on them. 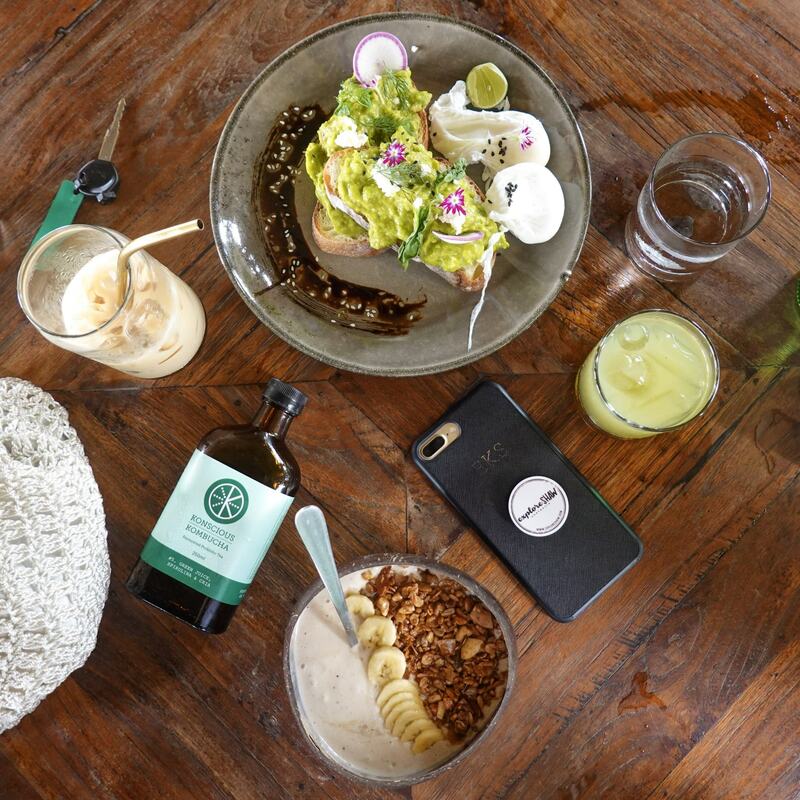 Cafe Organic has your next Insta upload covered. 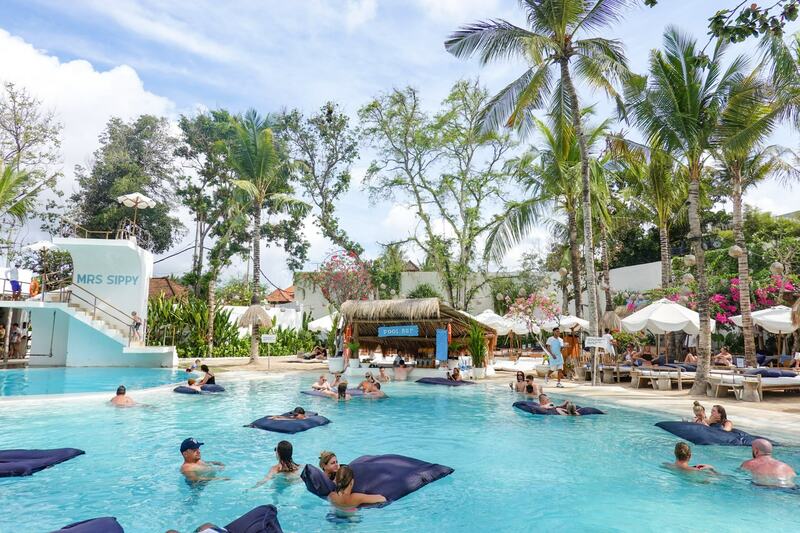 Kick back and relax at The Lawn in Canggu, with an infinity pool and views overlooking the beach. The actual lawn is covered in beach umbrellas, mini tables and cushions on the floor that make you feel like you’re at a summer picnic. 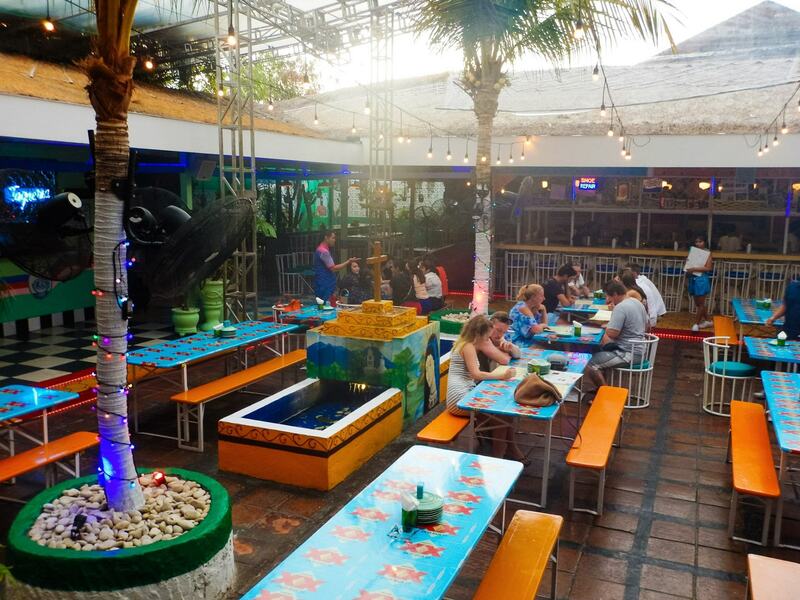 It’s the perfect place for some afternoon drinks, with a unique cocktail list and cocktail jugs on offer with some of your favourites. 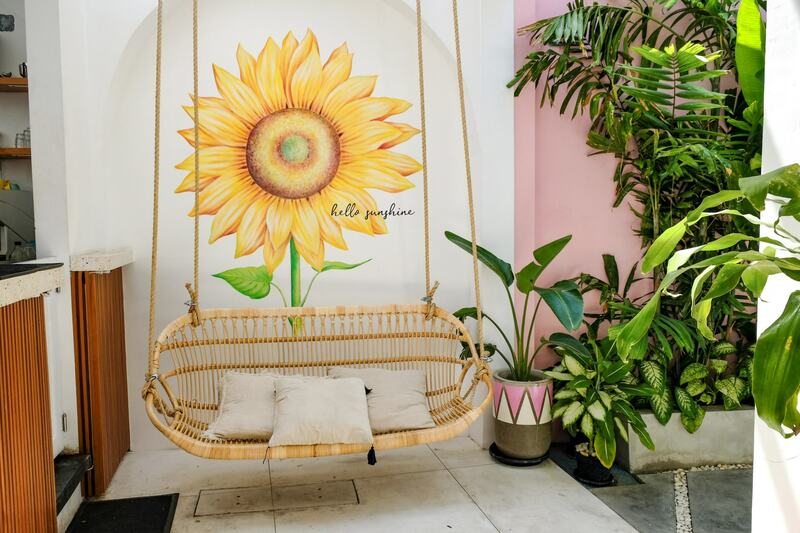 This is where brunch meets boho homewares shopping. 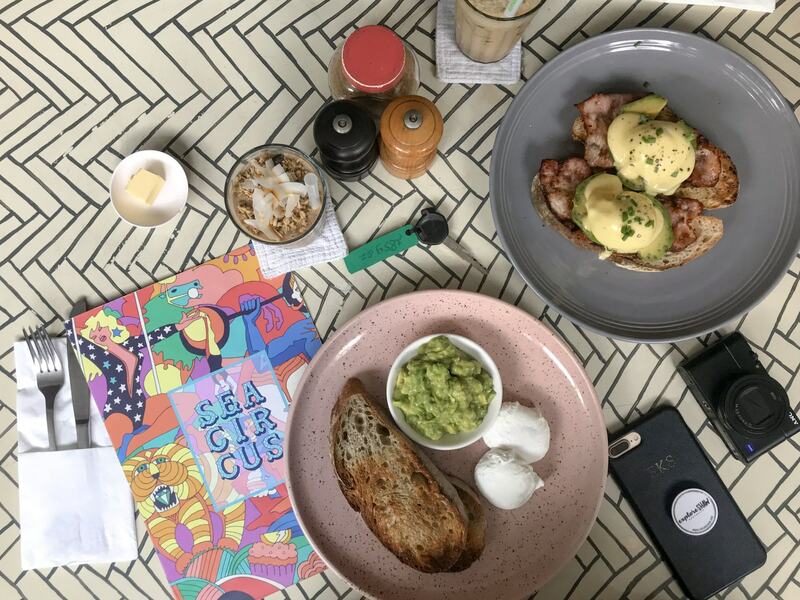 Kim Soo Home is a little cafe that seemingly sits within a homewares boutique, offering all kinds of beautiful pieces for you to take back home to your house. Everything is for sale in Kim Soo, which can be very dangerous if you start browsing while you’re waiting for your coffee! 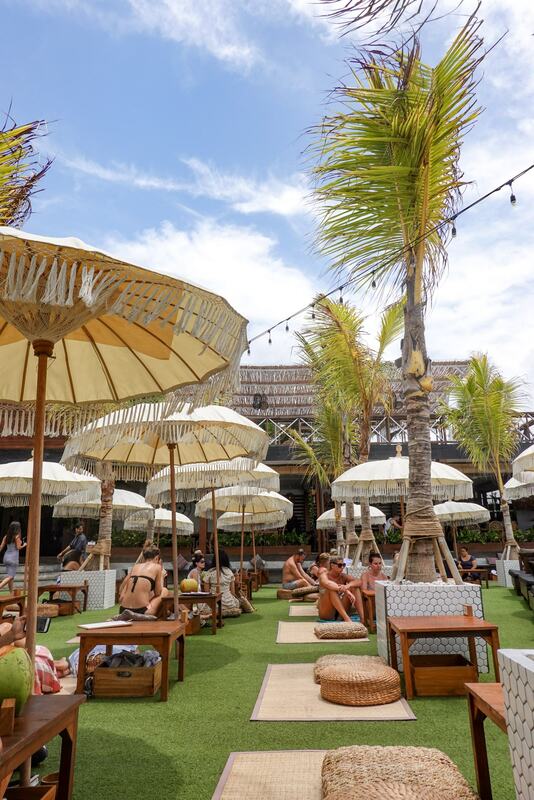 Sitting above Nalu Bowls in Seminyak, Shelter Cafe is an Instagram worthy hot spot all of it’s own. 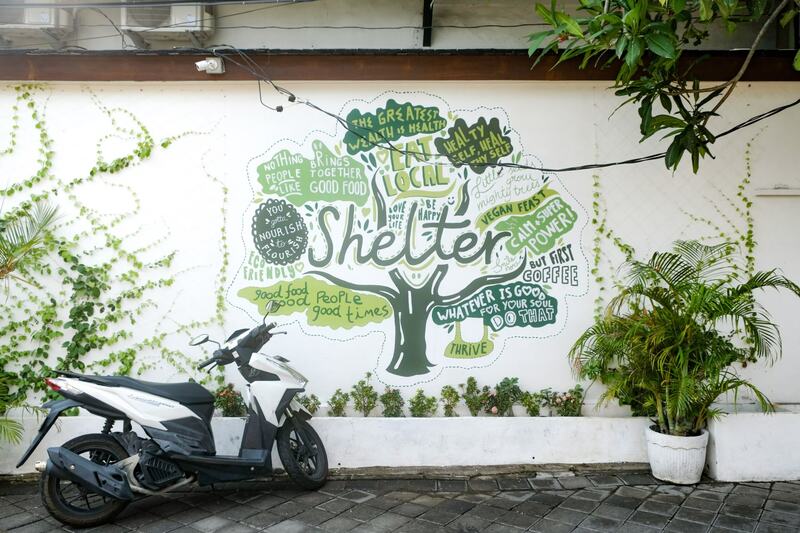 With overflowing greenery, cute little murals and positive affirmations lining the walls and some really exceptional food art going on, Shelter is a fantastic breakfast choice in Seminyak. You can also order your Nalu Bowls at Shelter Cafe, so you can take the time to sit down and enjoy, while also checking out some of Shelter’s drink and snack options. 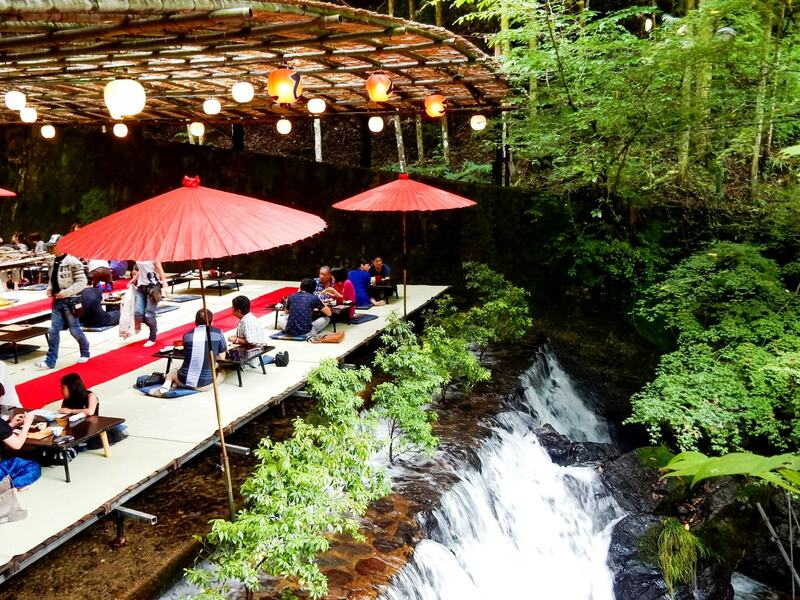 An architectural master piece, created mostly out of bamboo, Makan Place is a beautiful open air restaurant that’s simply stunning. It’s very spacious, giving you lots of room between tables and groups of people, with incredibly high ceilings. The arching bamboo is simply a thing of beauty around this restaurant and you won’t be able to stop checking it out. 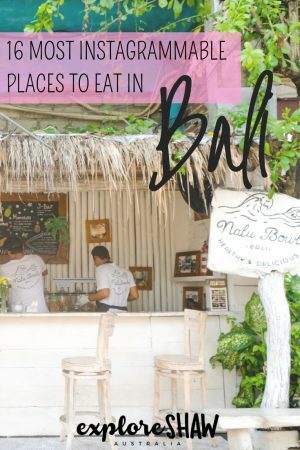 What are your favourite places to eat in Bali? Let us know below so we can check them out next time!